Welcome to the Hydrologic Engineering Center's (CEIWR-HEC) River Analysis System (HEC-RAS) website. 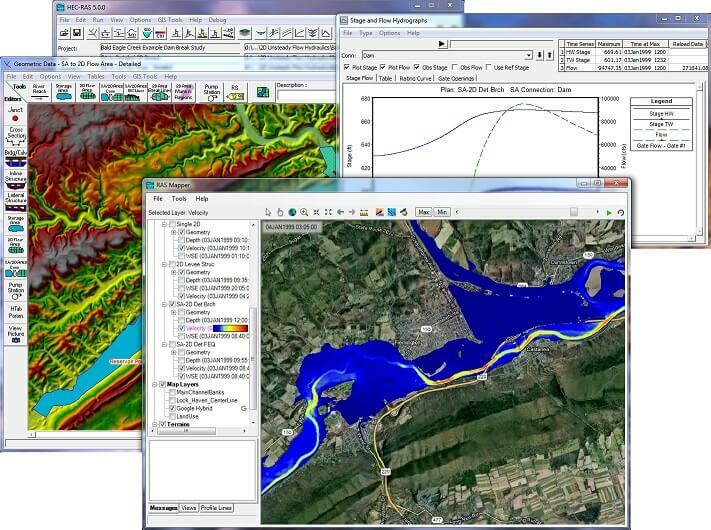 This software allows the user to perform one-dimensional steady flow, one and two-dimensional unsteady flow calculations, sediment transport/mobile bed computations, and water temperature/water quality modeling. that issue through the HEC-RAS Bug Report page. Also, please review CEIWR-HEC's Support Policy page for further details.